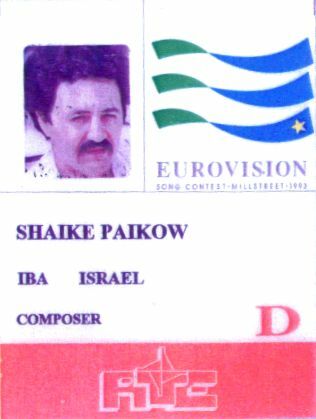 Shaike Paikov participated in the Eurovision Song Contest for Israel on two occasions. In 1989, when the festival was held in Lausanne, his composition ‘Derech ha-melech’, performed by twelve-year-old Gili Netanel with Galit Burg, finished twelfth; for this song, Paikov conducted the orchestra himself. 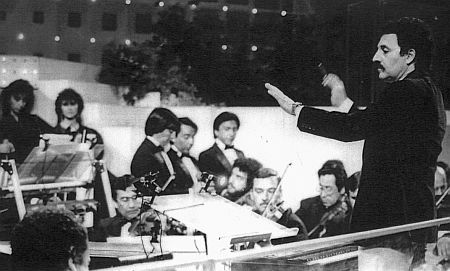 Four years later, in 1993, Paikov penned ‘Shiru (Sing a song)’, with which the formation Lahakat Shiru finished twenty-fourth in Millstreet; this time, the composer left the conducting part to Amir Frohlich. A considerable part of Paikov’s more than 700 compositions competed in song festivals in Israel. 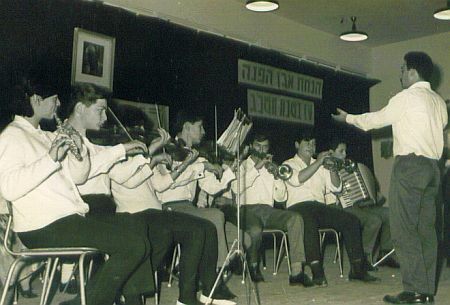 His creations were particularly successful in the IBA Children’s Festival, a prestigious local event, which he won on four occasions: in 1971, the first edition of the festival, with ‘Lama kacha’ for Avi Toledano; in 1972 with ‘En den dino’ for Yaffa Yarkoni; in 1973 a third successive victory with ‘Chag yovel’ for Avi Toledano; and lastly in 1981 with ‘Ima’ for Ronen Bahunker. Many years later, ‘Ima’ was chosen by the Israeli audience as the best children’s song ever written by an Israeli composer. Several other of Paikov’s participations in the IBA Children’s Festival, such as ‘Hagigat Aviv’ for Chocolate-Menta-Mastik and ‘Le’artzi yesh yomhuledet’ for Eli Gorenstein, have become evergreens. For the 1971 edition of the Hassidic Song Festival, Paikov penned ‘Sisu vesimchu’ for vocalist Sasi Keshet. In the Hebrew Song & Chorus Festival, Paikov was successful with ‘Eretz’ for Ilanit (1976) and ‘Otcha’ for Ilana Avital (1977). Was competing in song contests important to Paikov? “Yes, very important”, he smiles. “From my youth onwards, I have been an ambitious person, always keen to compete with others. I want to achieve what others cannot do… that is part of my character. To me, it was even more interesting to go abroad, participating in international festivals. My songs represented Israel in song contests all over the world.” Paikov participated in the Viña del Mar International Song Festival, a huge annual open-air event in Chile, on no fewer than six occasions, winning the second prize twice, with ‘Le’ehov’ for Ilana Avital (1978) and ‘Morning love’ for Shlomit Aharon (1991). 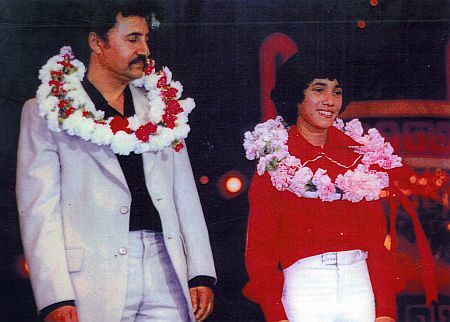 In the Far East, Paikov participated in the Seoul Song Festival (South Korea) and the World Popular Music Festival in Tokyo (Japan) in 1982, in both cases with boy-singer Ronen Bahunker. In South Korea, Bahunker performed ‘Ima’ in English: ‘Mother’, while his effort in Japan, ‘Mikol shirey a’havati – Of all my love songs’ finished sixth. For the latter song, Shaike Paikov was honoured with the Outstanding Song Award by an expert jury. The composer also participated in the Rio de Janeiro Song Festival (Brazil) and the Malta Children’s Festival. In 1993, Paikov performed the role of jury member in the Bucharest International Song Festival, Romania. 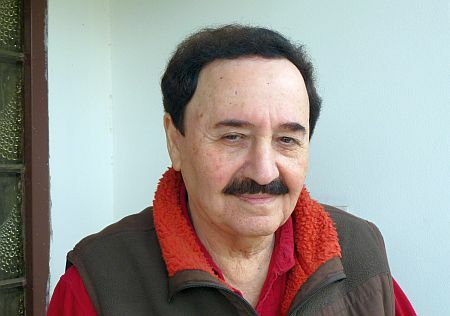 Away from the world of hit parades and music festivals, Shaike Paikov wrote the soundtracks to several Israeli movie productions, such as ‘Koreyim li shmil’ (1975), ‘Nurit’ (1975), ‘Na’arat haparvarim’ (1979), ‘Rechov 60’ (1981), and ‘Nurit II’ (1983). American producer Charles Andrews offered Paikov the opportunity to come to Los Angeles and start a new career as a film composer for the Hollywood movie industry, but he turned it down, not wanting to leave his family behind in Israel. Shaike Paikov also composed jingles for radio and television, music for commercials, and theatre productions. 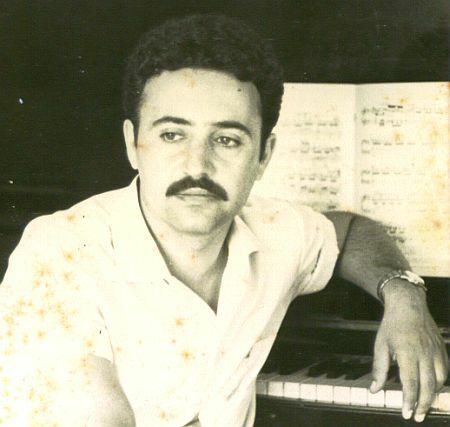 He wrote the music to an Israeli dance performance by Yonatan Karmon at the Olympia Music Hall, Paris, which was conducted by Paikov’s good friend Yitzhak Graziani. In the 1980s and early 1990s, Shaike Paikov continued to be much in demand as a songwriter. 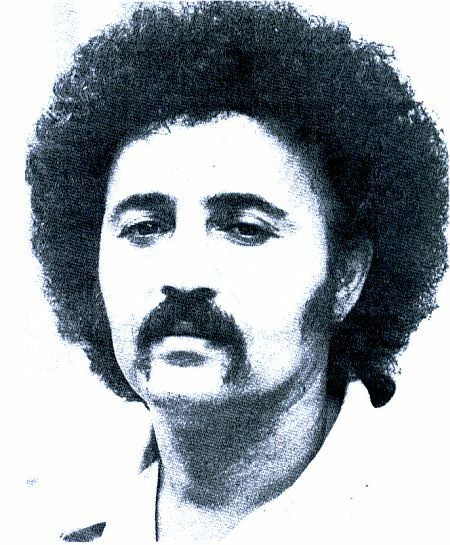 He wrote and arranged ‘Kmo tzipor’ for Ofra Haza’s debut album in 1980, while songs such as ‘Li nishar chalil hashir’ for Ilana Avital (1987), ‘Perach nadir’ for Adam (1989), and ‘Anashim yesh ba’olam’ for Itzik Harush (1993) managed to climb the charts in Israel. In this particular period, Paikov’s compositions were also recorded by the likes of Shoshana Damari, Yehoram Gaon, Israela Kriboshe, and Uri Feinman. From the early 1990s onwards, however, Paikov has mainly focused on a new, totally different project in Chile. “Chile is a country I got to know thanks to my involvement in the Viña del Mar International Song Festival”, Paikov explains. “The country’s natural resources are impressive. For a start, Chile has forty percent of the world’s copper reserves. I got interested in mining and visited a copper mine up in the Andes Mountains for the first time in 1983. After having read somewhere about the possibility of finding gold in the Andes, I decided to give it a serious try myself. Since 1990, I have made more than 250 flights to South America, looking for gold and other precious metals. My motivation to do so is not that much different from competing in song festivals: I want to achieve what other people have failed to do. Therefore, I have stopped writing music on a daily basis. Even today, however, I sometimes like to sit at my piano to compose… and at such moments I feel that the ability to compose fast and with ease still has not left me.” In December 2011, an honorary concert of three hours with Paikov’s music, in which some of Israel’s most popular singers participated, was organized in Rosh Haayin. After having finished third in the 1992 Kdam with his composition ‘Yeroushalem’, interpreted by Ronen Bahunker, Paikov managed to write the winning entry for the Israeli Eurovision selection programme in the year after. A group of six, Lahakat Shiru, performed ‘Shiru’, a hymn about the joy of singing with lyrics by Yoram Tahar-Lev. In the international final of the 1993 Eurovision Song Contest, this Israeli entry finished second-last with a meagre four points. What went wrong? 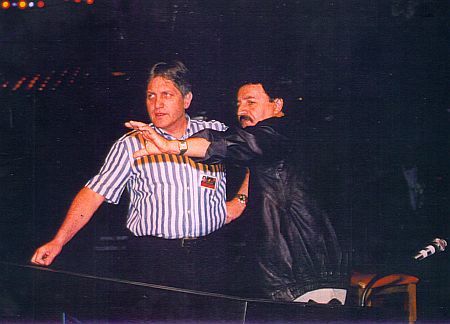 So far, it has not been possible to gather memories of other artists about Shaike Paikov. Bas Tukker interviewed Shaike Paikov in Hadera, January 2012. A short interview with Paikov in English from an unknown source, published in 1979 (from Shaike Paikov’s private collection). Many thanks to Katharina Kushtai for her translation work during the interview and for scanning Shaike Paikov’s photo albums. Many thanks to Amir Herschkovitsch for finding information about Shaike Paikov’s involvement in various song festivals in Israel and abroad. All photos courtesy of Shaike Paikov.